Nearly every girl’s favorite jewelry designer has released a new engagement ring cut and it is beautiful. 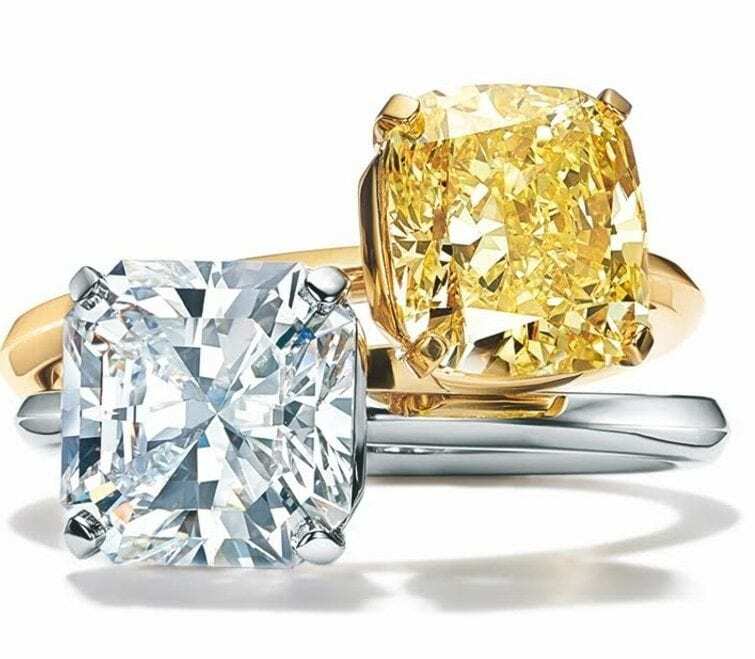 Just in time for engagement season and our social media pages to be flooded with “I/she said yes” posts, Tiffany & Co. has released a new diamond cut that is sure to become a hit. It will be hard to say no when proposed to with the Tiffany True Setting, a modern take on the classic. Tiffany & Co.’s chief artistic officer, Reed Krakoff, said, “Tiffany has symbolized the ultimate in love and commitment since 1886 with the invention of the original Tiffany® Setting. Now, the launch of Tiffany True with its unique setting and expert cut, we are introducing a supreme expression of modern love.” The Tiffany True is the jeweler’s first new engagement ring line since 2011 when it introduced Harmony and the first with a dedicated diamond cut since Tiffany Lucida in 1999. The ring is described as a “modern masterpiece;” a clean-looking engagement ring with sleek architectural design, minimal aesthetic, and a diamond that sits low on the finger, “making it functional for the modern woman.” The cut shows more of the diamond’s main face, making the stone more exposed to light and therefore shine brighter! The whole design is actually aimed to show off the diamond’s purity and true beauty (hence the name). There is also a subtle “T” engraved on the band, visible from the side. Along with all of Tiffany & Co.’s diamonds, the True cut is environmentally and ethically sourced. 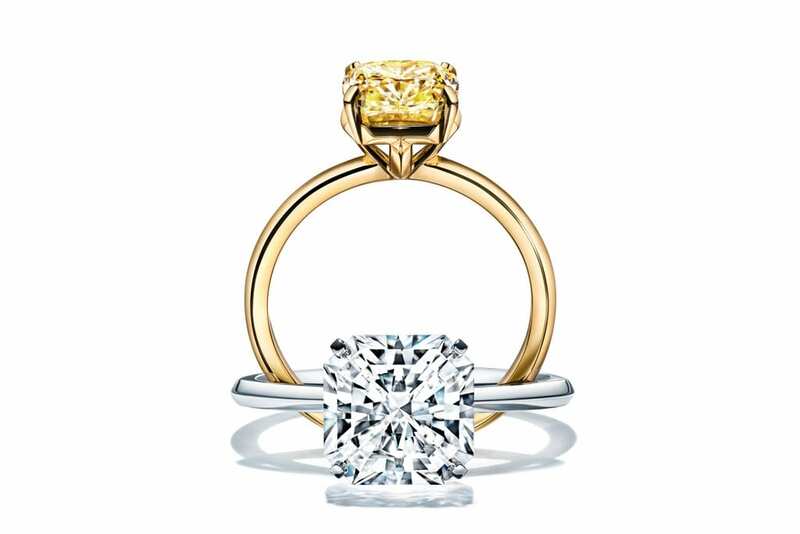 True is available in a platinum band with a colorless, square mixed-cut diamond or in 18-karat yellow gold band with a yellow cushion-cut diamond. Whichever way you wish to personalize it, prices start at $7,000 and can run well into six figures. The Tiffany True will hit stores this fall in North America and worldwide in 2019.